Many of the beds and borders in the Fota Frameyard are planted in alphabetical order with plants beginning with ‘A’ grouped together, followed by those beginning with ‘B’ etc. The majority of the plants in our Frameyard come from warmer climes and far off places, with the exception of a few natives – Arbutus unedo being one of them. 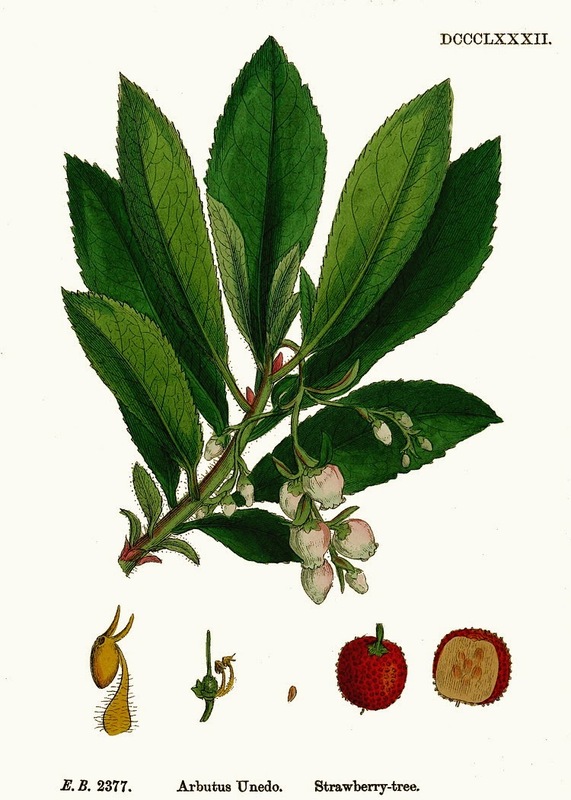 Arbutus unedo (Strawberry Tree or ‘Caithne’ in Irish) is an unlikely Irish native. It is widespread in the Mediterranean region where its main native population is but it is also native in northwest and southwest Ireland, namely Sligo and Kerry. In Ireland it is known as a ‘Lusitanian species’, one of about 15 species that have a restricted distribution in Ireland and are not found in England (where most of our natives recolonised from following the last ice age) but are native on the Iberian Peninsula. There has been much speculation as to how these species got to Ireland, and while the theory of them having survived the last glaciation was considered possible, it has been proven that they actually recolonised the southwest coast of Ireland from Iberia following the retreat of the ice, possibly from a refugial area in northern Spain or southern France. Once you see the Strawberry Tree in flower it will come as no surprise to learn that it is a member of the Ericaceae (Heather) family. Its flowers are typical of the heathers being bell-shaped – it has cream-white flowers, approx 8mm in length, borne in panicles. These appear in November and December and are a good source of nectar and pollen for bees when not much else is in flower. The fruits give the tree its name in that they resemble strawberries – they are red/orange spherical berries that have a warty appearance. They are edible but, as the Latin name unedo (‘eat only once’) suggests, not very palatable. The fruits are traditionally cooked and made into jams and preserves where they are native in warmer climes. As it takes a year for the fruits to ripen, flowers and fruits can be seen together in Autumn and Winter. 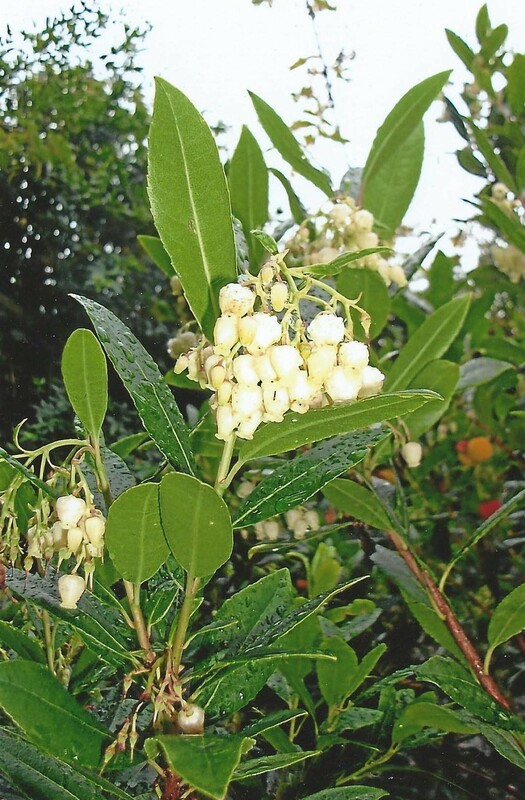 Arbutus unedo typically grows to about 9m in height and in Ireland can be found in the native oak woods of Killarney.